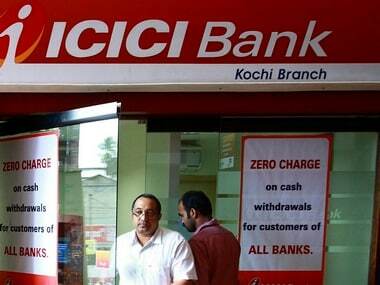 New Delhi: ICICI Bank's stock surged 7 percent today, adding Rs 9,771.57 crore to its market valuation, as NPA worries in the banking sector receded following the USD 13-billion asset sale by Essar Oil for paring debt. The stock jumped 6.91 percent to settle at Rs 258.55 on BSE. Intra-day, it zoomed 7.31 percent to Rs 259.55. On NSE, the stock soared 7 percent to end at Rs 258.75. Led by the sharp rally in the stock, ICICI bank's market valuation rose by Rs 9,771.57 crore to Rs 1,50,453.57 crore. The stock was the top performer among the 30-Sensex and 50-Nifty components. 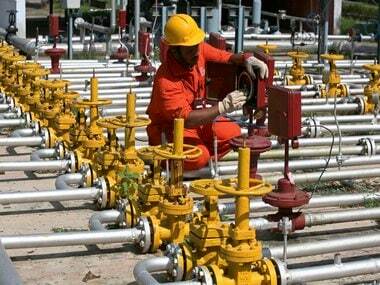 The key beneficiaries from the Essar Oil deal are likely to be ICICI Bank, Standard Chartered Bank, SBI, PNB, IDBI. Shares of Standard Chartered PLC rose by 2.51 percent to Rs 53.05, while SBI gained 0.48 percent to Rs 253.10 on BSE. "Banks went up as Essar-Rosneft deal gave hopes that similar deals could ease NPA worries," said Anand James, Chief Market Strategist, Geojit BNP Paribas Financial Services Ltd.
Indian banks, especially the state-owned lenders have been grappling with non-performing assets (NPAs) or bad loans. Gross NPAs of scheduled commercial banks almost doubled to 8.7 percent of advances in April-June quarter of the current fiscal, compared to 4.6 percent in March last year, and 7.8 percent in March 2016, led by public sector banks. The situation in public sector banks was the worst with their bad loans jumping to 11.3 percent in June this year from 9.8 percent in March 2016 and 5.4 percent in March 2015. Private sector lenders' bad loans were at 2.8 percent in June this year as against 2.7 percent in March 2016 and 2.2 percent in March 2015. 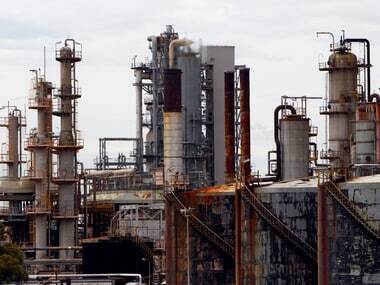 According to Kotak Institutional Equities, the sale of Essar Group's 'entire' holding in Essar Oil and Vadinar port to Rosneft, Trifugra and UCP will allay the market's concerns about Indian banks' exposure to Essar Group. As per the report, Indian banks have large exposure to Essar Group and following this deal their exposure may reduce significantly. "We view the 98 percent stake sale in Essar Oil and 100 percent stake in Vadinar port by the Essar Group for a total consideration of Rs 850 billion (all-cash deal) as a very significant event for the Indian banking sector," it said. As per a report by Motilal Oswal Securities Ltd, "The deal will lead to a gain of Rs 400-450b (pre tax) for EOL's promoters. We believe this would be used to repay debt at Essar Global and infuse capital into the steel and power businesses." "The current deal would also serve as a strong message for other debt burdened promoters (especially mid-sized companies) to deleverage. We believe NPA recognition for large accounts has peaked and expect gradual resolution hereon," the report noted. 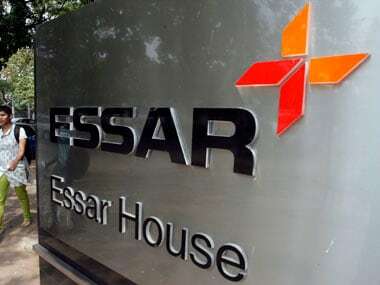 Essar Group Director Prashant Ruia has said: "We plan to utilise proceeds from the stake sale to deleverage the Group and pave the way for strategic consolidation and growth in other businesses. "Deal will help Essar deleverage almost 50 percent of its Rs 88,000 crore debt and substantially reduce interest costs."